Ladies summer bucket hat from Max Alexander. 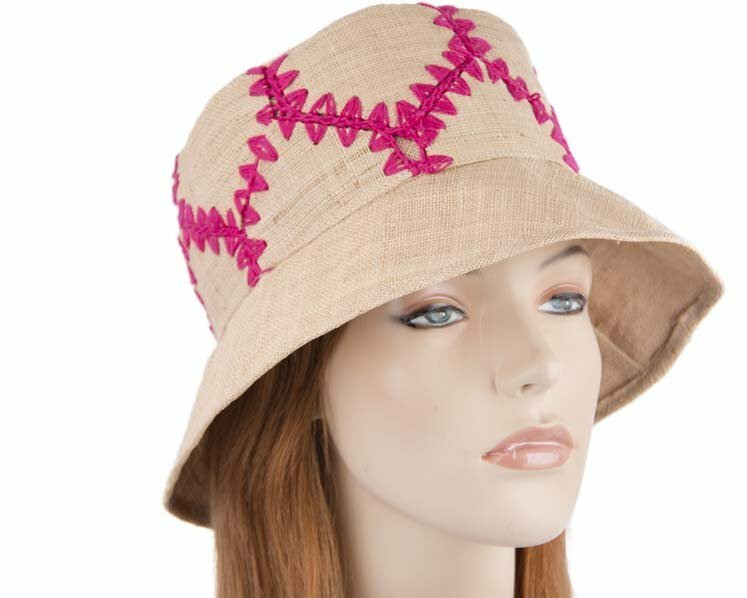 This natural colored hat with stylish fuchsia stitches is a perfect choice for everyday summer wearing and sun protection. Fully crushable and perfect for travel.